Innovative cell volumizing formula that HALEO developed for athletes, now in convenient tablet form. The innovative formula that is superior to pure creatine supplements in helping to build muscle strength and size is the first Cell Volumizer. 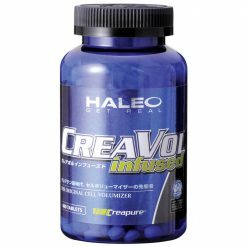 The origin of CreaVol Infused’s name comes from “creatine” and “volumizer”. The added blend of amino acids in CreaVol exceeds the potential of creatine alone for boosting muscle power and size. Through the addition of arginine, glutamine, and glycine, CreaVol supports cell enlargement and hydration. This serves as an important foundation for building more muscle. Additionally, CreaVol Infused has added phytate (IP6) to further boost its effectiveness compared to creatine alone. IP6 is a natural rice and grain extract that contains large amounts of phosphate. Creatine phosphate can be stored and used when needed to restore depleted energy stores of ATP. CreaVol Infused contains a patented shea and phosphorus extract derived from cinnamon to further enhance its uptake. It has been clinically proven to support fat reduction and increase lean body mass by increasing the action of insulin. 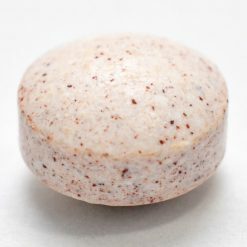 Take 20 tablets daily with water or your beverage of choice. Can be taken at any time, multiple times a day. Use as soon as possible prior to the expiry date once opened.